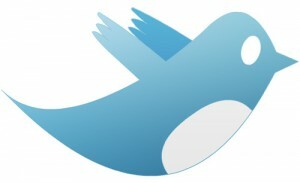 At first glance, Twitter seems much more complicated to use than Facebook. After all, your nephew and your mum are probably both on Facebook, but it’s unlikely they Tweet. But while there are many more users of Facebook, there are still over 200 million active users on Twitter. This ugly term simply means including the # symbol with a word you think might be relevant to your Tweet. For example #ski or #meribel or #italy. The reason for this is that some Twitter users will be following all Tweets using certain hashtags, meaning you can increase the reach of your Tweets. Although you can include up to 140 characters in a Tweet, it is better to use less. The primary reason for this is to make it easy for your Tweet to be Retweeted (forwarded on by another Twitter user) without any editing. Depending on your username, around 120 characters is optimal. Not all Twitter followers are equal. Identify key journalists and influencers and follow them. While they may not follow you back, there is a reasonable chance they will. They will then start receiving your Tweets. Do your own following. Follow relevent hashtags for your industry and your brand to see what’s being said in the Twittersphere. There will be opportunities to join in with conversations. There is no magic right number of Tweets per day. Nor is there a perfect time of day to Tweet. You will have to experiment. Try out different styles and timings and see what works for your audience. The above is a simple introduction to Twitter. Skipedia can advise and develop a social media strategy specific to your requirements. Simply contact us and we’ll get back to you promptly.